My primary objective as a business coach is for you to succeed. I strongly believe involving you and working together to pursue your meaning and truth is a learning process which will create permanent and lasting change to you and your business. Together we will discover and unfold your passion, why you are in business and the core purpose of your business. This will develop a clear path to your prosperity. You are the expert in your business and know your business intimately therefore, you have the answers. What we do together is unravel those answers and give you a different perspective. 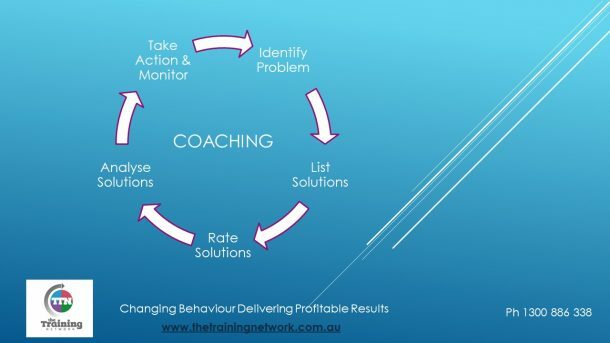 As your business coach we will be asking structured questions that at times can be confronting but essential to the outcome and success of your personal and business growth. Once we retrieve the information we work on several strategies to ensure you stay on track, reviewing, replanning if needed to ensure your continued success. Socrates (469-399 BC) taught that each person is born with full knowledge of ultimate truth and needs only to be spurred to conscious awareness of it. He believed that people must acquire knowledge and wisdom for themselves, and so he engaged his students in a process of questioning rather than providing them with the answers. His famous question, "what is the good life" (Allen, 1991) is an example of what is called the Socratic method. Extract reference from Coaching with the Brain in Mind. My academic background in Communication Management has assisted in getting the results needed for others, this along with my accreditation in corporate behaviour using Everything DiSC, will make a difference to you. Teams or individuals use coaches while they are learning or they have become a professional athlete. If you are a professional business person and want to continue to perform, protect and grow your business, call Ivan on 1300 886 338 for an appointment.